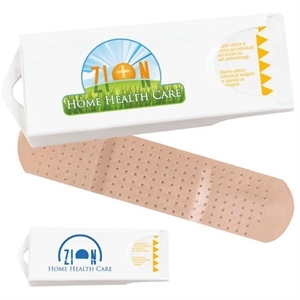 If you are looking for a great first aid giveaway item, our collection of promotional bandage dispensers are just what you need. 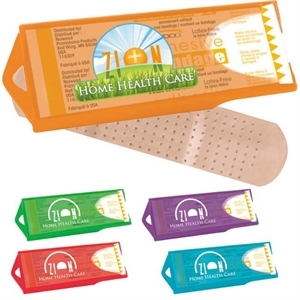 People of every age get cuts and scratches throughout the year. 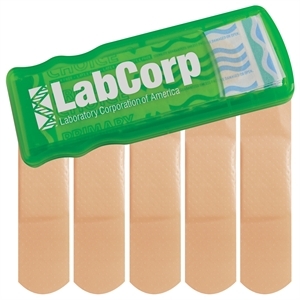 In the office, clients and colleagues have to deal with painful and annoying paper cuts. 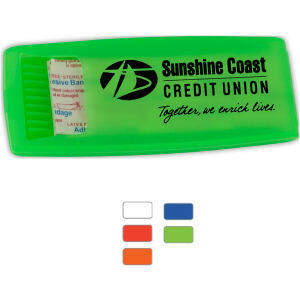 Offer them custom imprinted bandage dispensers so they always have bandages on hand. 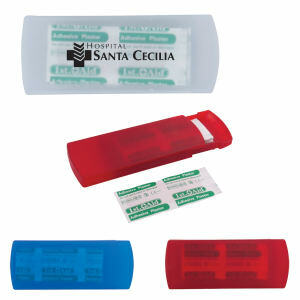 Logo bandage dispensers are ideal giveaways since you show your concern about the health of potential customers. 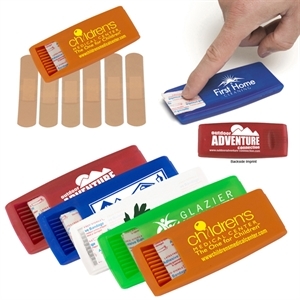 Giving out customized bandage dispensers will help to build relationships with your clients and spread awareness about your brand. 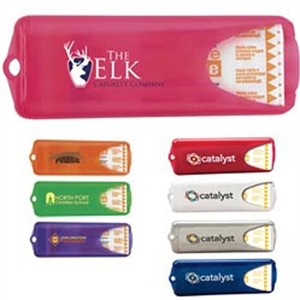 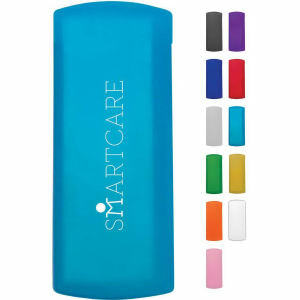 Custom printed promotional bandage dispensers are such a useful organizational item to keep band aids together and allow you to always have some ’just in case.’ Our large inventory can be imprinted with your company name and logo, and are wonderful giveaway products for trade shows, or to patients of private medical practices.